Have you been impacted by tickets for fare evasion on public transit in Vancouver? 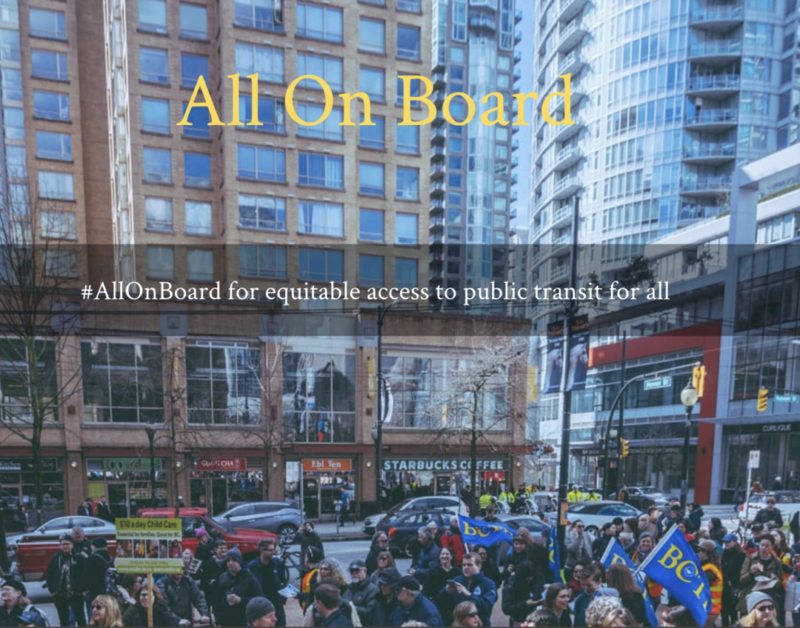 #AllOnBoard is a campaign that stands for affordable and accessible transit based on income in Metro Vancouver to ensure our communities can access public transit to live, work and thrive. They are now preparing a submission on the impact of ticketing minors for fare evasion, to present to Mayors’ Council on Regional Transportation. They are seeking input from youth, and from people who work with youth in or from care to make sure that they accurately represent how this is affecting youth. If you have been impacted by fare evasion ticketing or fines, please consider sharing your feedback with #AllOnBoard! #AllOnBoard is seeking stories from young people about the impact of fare evasions on their lives. They need as many impact stories as possible to share so that they can understand the issue and accurately share how it is impacting youth. If you work with youth in or from care, please take a moment to fill out TRRUST Collective Impact’s survey on the impact that fare evasion fines has on youth in and from care. Click here to access the survey.